These mugs were purchased at a little antique store in a small town on one of our jaunts last summer. I put them away for a while and thought I might keep them but alas, I have too much stuff in my basement and I decided to list them on ebay. They sold within minutes for a huge amount of money so I was pretty happy with my decision to part with them. 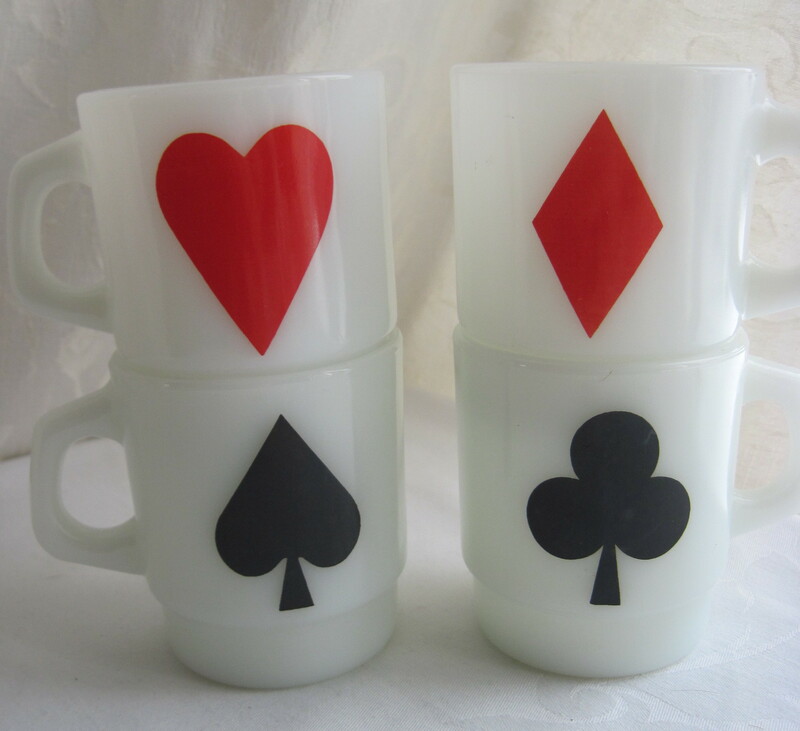 They are made by Anchor Hocking sometime in the 1970’s and were in excellent clean condition. What a Fab Find! Note: These mugs have been SOLD! !